At Projects Abroad we are constantly striving to improve our projects both to benefit the partner organizations we work with and the volunteers joining the programs. 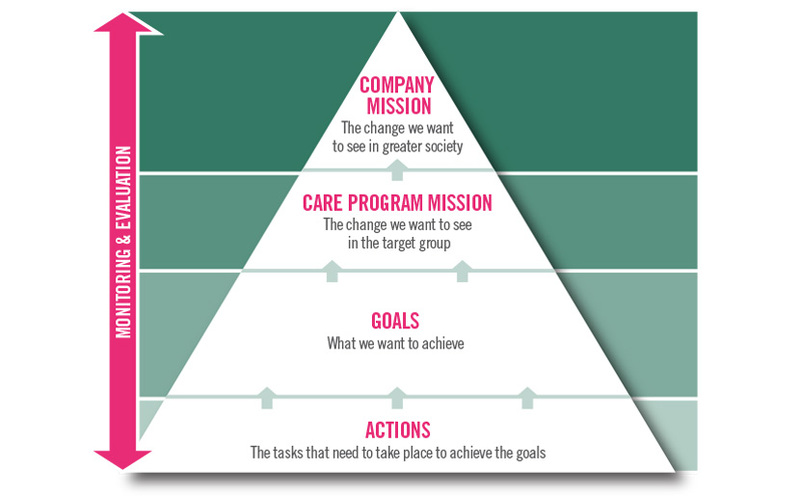 Define a clear purpose for our Care programs. Our Care Program mission is to provide sustainable educational support, care, and protection to disadvantaged children and vulnerable groups to enhance their physical, social, emotional, and cognitive development. Daily and weekly tasks and activities carried out by Projects Abroad volunteers. To help us achieve our goals at each Care Project, we use the Global Impact Database. This is a secure and anonymous database that we use to identify specific areas of need, track the development of the children and adults that we work with, and monitor overall progress at the placement. Each placement is assessed by staff and volunteers to establish what goals we need to work toward. Once we know what we need to do, we set up specialized checklists and profiles in the database and start working towards those goals. In this way, volunteers build on each other’s efforts and progress and contribute to long-term impact. Each volunteer is given access to the database once they start their Care Project, and this access is withdrawn when they finish their project and return home.